ABOUT: Services now account for over half of our GDP, but manufacturing is about 17 per cent. ABOUT: Services now account for over half of our GDP, but manufacturing is about 17 per cent. If India has to cater to the growing needs of its 1.3 billion people, it needs to find an alternative to forex-guzzling import of products ranging from mobile phones and cars to consumer goods and shoes. 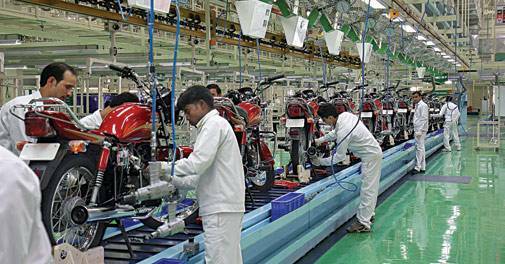 India needs to design and manufacture its own products. 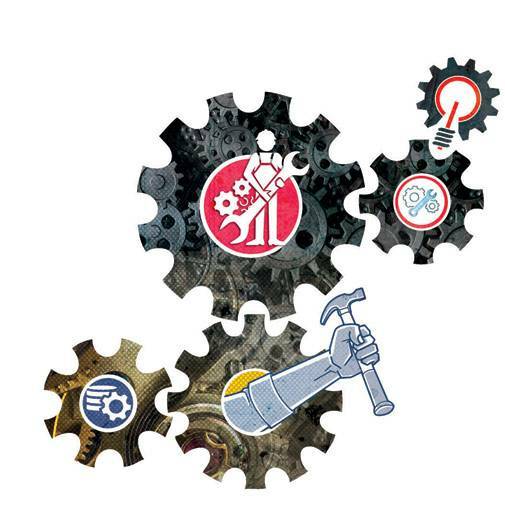 Hero MotoCorp Chairman, Managing Director & CEO, Pawan Munjal, explains how India can become a globally competitive manufacturing nation capable of designing and developing products that are acknowledged as the best in the world. I find writing this article quite timely. I recently visited the Silicon Valley in the US, where I met some of the brightest minds engaged in path-breaking design and innovation. I have been a frequent visitor to the Valley. On this occasion, too, I visited the Google campus and spent some time listening to their young scientists working on the much-vaunted driverless car. I also made a trip to some other marquee names in the technology space and interacted with the members of their leadership teams. What impressed me the most on this trip was the slew of ideas and projects that these teams are working on, which, if successful, will significantly impact human lives in various ways. My biggest takeaway from this visit was the realisation that if Indian manufacturing wants to compete with China and the other economic super powers, we must think 20-30 years ahead. Today, we barely think beyond five, at best. Fortunately, we have started widening our horizons, especially with Prime Minister Narendra Modi's Make in India initiative. The aspiration is to expand the manufacturing share in India's GDP from the current 15 odd per cent to 25 per cent by 2022. More importantly, the manufacturing sector is expected to generate 100 million additional jobs by that year. There are three areas to be earmarked before we chart the course of manufacturing growth. In today's connected and globalised world, the consumer uses and disposes off products and devices much faster than before. This is pressurising the entire system to develop products faster and better. Concepts such as smart factories, which produce a variety of products using shared resources and employees with high levels of automation and digital engagement, will enable us to produce good quality products faster and cheaper. Second, over the past five years or so, there is much greater sensitivity around resource productivity (energy efficiency, recycling), climate change (emission norms) and sharing benefits with the community (land acquisition law, corporate social responsibility). Those days are gone when manufacturers were able to get away by ignoring these issues. The needs and concerns of relevant stakeholders now have to be addressed much more transparently. Third, and most crucially, technology, digitisation and the sharing economy are disrupting the entire value chain, including manufacturing. Higher automation, the use of robots, and 3D printing are transforming manufacturing processes. As a result, the role of manufacturing in delivering customer value is getting redefined. I have a slightly contrarian view from most observers with regard to manufacturing exports. I believe that as a country, it is important not to bank entirely on manufacturing exports. Expanding the domestic market is also crucial. Second, there is a need to devise a holistic manufacturing-service-technology package in line with 'new' customer expectations. Third, it is important to proactively address the needs and concerns of stakeholders, given the growing disparity between haves and have-nots that some business ventures may accentuate or accumulate unintentionally. Therefore, I strongly believe that as a country, we need to focus on Solve for India along with Make in India. India must seek to become not just a manufacturer of goods and provider of services, but a solution provider to the needs and problems of tomorrow's society. We need to create additional value for the consumer and thus, we need to create newer domestic markets to reduce the dependence on foreign markets. Overall, accelerating economic growth and generating more employment through manufacturing should revolve around three premises. One, India must seek to become not just a manufacturer of goods and provider of services, but a solution provider to the needs and problems of tomorrow's society. Two, we need to create additional value for the consumer and thus, three, we need to create newer domestic markets to reduce the dependence on foreign markets. The insulation factor will become especially crucial during the uncertain global times we live in, where exports in dollar terms have declined for 12 consecutive months. To sustain manufacturing growth, we need to be drivers of innovation in technological advancements. We should be able to adapt to new technologies in case we are not in a position to create these. Innovation in automation will be an integral arm of manufacturing and will guide the way in which industry and the people in it will work, so we need to stay in sync. Concepts such as smart factories - which produce a variety of products using shared resources and employees with high levels of automation and digital engagement - will enable us to produce good quality products faster and cheaper. The increasing interface between the physical and digital world will lead to developing new production processes and materials, and innovating supply chains and distribution channels. In this scenario, the government must also play a crucial part. There is some evidence of traction, especially in the areas of policy and regulation reforms, entrepreneurship development, clusters and workforce development programmes. However, in order to compete in a global playing field, skill and knowledge augmentation requires much stronger focus. In 1990, India and China had almost the same GDP per capita. Since then, through effective policy and execution, China has grown far ahead of its southern neighbour and, today, finds itself at the top of the world's manufacturing pyramid. To catch up, India needs to develop its manufacturing sector for the long-term future and, quickly! As I said earlier, we need to plan 20 years or may be even 30 years ahead, factoring in the ever evolving consumer behaviour and advancements in technology that is reducing lead times for production. Over the years, significant investments in R&D have been made only in government institutions. The private sector still has a long way to go to bring about a change in culture and approach towards research, design, innovation and development. 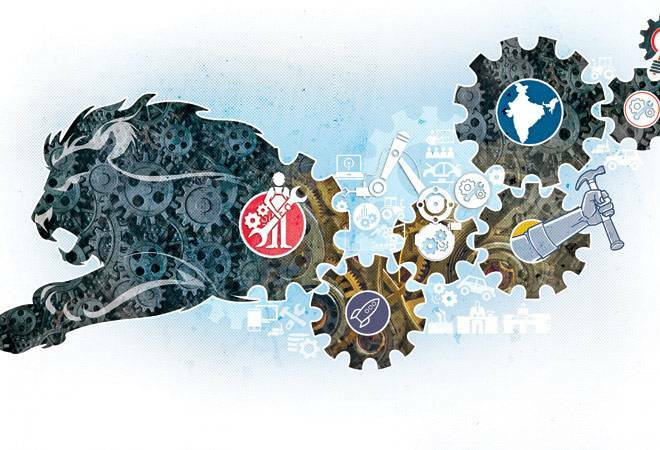 In the recent past, a handful of Indian corporates have begun seriously investing in R&D. But, what we need is a cohesive and comprehensive approach that will ensure a suitable environment for the growth of manufacturing. Besides, adequate infrastructure support, including giving the necessary freedom and space to scientists, engineers and incubators to think and create technologies and systems for the world. The new Hero Global Center of Innovation & Technology in Jaipur is one such step - towards developing a holistic R&D ecosystem that will enable competitive, efficient and advanced future mobility solutions. The center will aspire to become a hub of innovation - an inspiration for the engineers to believe that a world class facility is now available in India. Quite clearly, setting global benchmarks in manufacturing in India will be the next logical step and, to ensure this, there must be increased interaction between industry and the academia to ensure researchers, engineers and upcoming young minds in the country - all are aligned towards a common goal.